Bendrigg Trust near Kendal, MLTE and BMC provided a Disability Awareness Climbing workshop in October. The event was very well attended by over 60 people travelling from all parts of the country and beyond, with Luis from Portugal taking the furthest travelled crown. The event was staged at the Bendrigg Trust following the recent completion of their new sports facility. After a lot of research and learning from other facilities they now have a superb wall facility that enables wheelchair user abseiling, overhanging abseiling and a climbing wall that has a very gradual gradient and very big holds enabling people with very limited body movement to enjoy the experience of climbing. With all these facilities on board it was an excellent opportunity to demonstrate working examples to all the course attendees. The course was split into two sessions with theory in the morning and practical sessions in the afternoon. The theory went over appropriate language, how disabilities occur, types of disabilities, and barriers disabled people encounter. The afternoon session provided training on wheelchair user abseiling, appropriate grades of climbs, side supporting, free hanging abseils and assisted & unassisted hoists. The course was originally put together by Don Mabbs over eleven years ago and with the shared efforts of Adventure for All it was taken into the MLTE fold. A lot has happened since then with many more climbing walls built, more activity providers and a much more positive attitude towards disability participation in sports and physical activities. On a daily basis disabled people are enjoying a greater choice and quality of life which couldn’t be better reflected by the performance in the 2008 Paralympics. However the mountaineering community and environment might not seem the most accessible of environments, but there is a lot of scope and this course demonstrates it. There is a lot of energy and new ideas happening both with MLTE and the BMC. 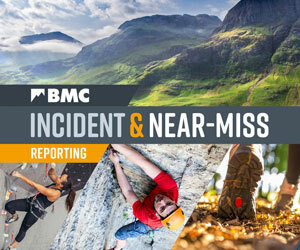 Nick Colton, BMC delivered a section on the work of the BMC Equity Group and gave an overview of the BMC interpretation of the Disability Discrimination Act and how it relates to the mountaineering community. Andy Say, MLTE outlined his full support for increasing disability access and gave examples of how disabled people have both enjoyed the sport and become instructors. MLTE is currently in the process of putting more course dates together which will become a regular feature of the MLTA training calendar. These dates should be online for the new year. Big thank you to Bendrigg Trust for hosting the course and doing a superb job in delivering the practical sessions and to John Crosbie for the theory in the morning.